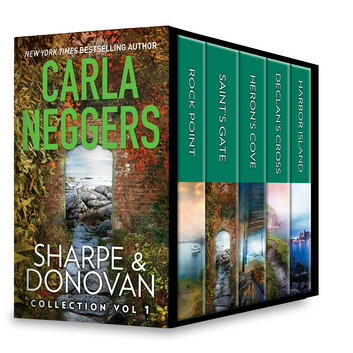 Discover the beginnings of the epic adventures and romance of FBI special agents Emma Sharpe and Colin Donovan in the first books in the bestselling series, together in a collection for the first time. Father Finian Bracken meets FBI agent Colin Donovan for the first time…and discovers the dangerous secrets he left back home in Ireland. Art crimes expert Special Agent Emma Sharpe is summoned back to a Maine convent–where she was once a novice–to investigate a murder linked to a mysterious painting of Irish lore. Emma Sharpe and Colin Donovan are drawn into danger when a Russian billionaire with ties to Emma’s past and to the arms dealers who recently tried to kill Colin arrives in Maine. Emma and Colin’s Irish holiday turns into serious business when an American diver goes missing and a connection to a decade-old art heist surfaces. A murderer implicates a connection to a serial art thief who Emma and her grandfather have been hunting for years.